Director Jim Jarmusch is putting his spin on the zombie genre in his latest film The Dead Don’t Die. Focus Films has revealed the first trailer, which shows the all-star cast of Bill Murry, Adam Driver, Danny Glover, and Chole Sevigny as small town cops fighting back against the hordes of undead. We also get glimpses at Tilda Swinton as a katana-wielding mortician and rock icon Iggy Pop as a zombie. Jarmusch wrote and directed the movie, his first feature length film since 2016’s Patterson. The plot synopsis is still under wraps, but if the trailer is anything to go on, the movie is going to be an action packed, hilarious adventure. The Dead Don’t Die will receive a wide release June 14. The movie stars Billy Murry, Adam Driver, Chloe Sevigny, Danny Glover, Tilda Swinton, Steve Buscemi, Tom Waits, Iggy Pop, Wu-Tang Clan’s RZA, Caleb Landry Jones, Rosie Perez, Sara Driver, and Carol Kane. 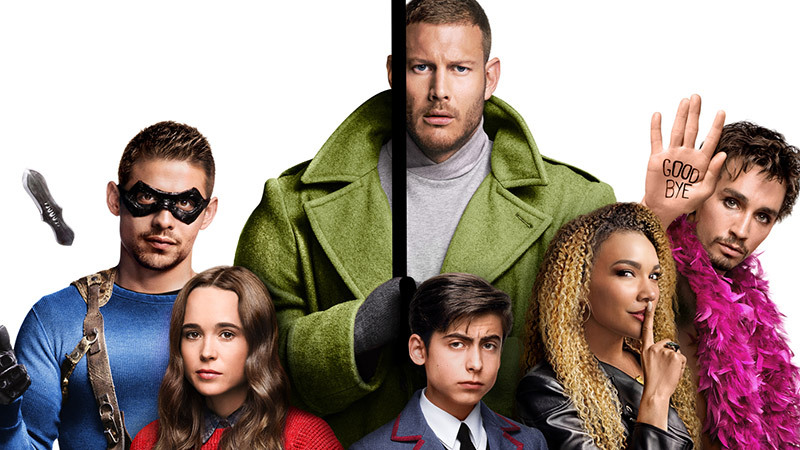 The Umbrella Academy gang will return for another season. Netflix confirmed that Umbrella Academy has been renewed for a second season. The streaming platform has ordered 10 episodes for a second season. Production is expected to start this summer. Cast members Ellen Page, Tom Hopper, David Castaneda, Emmy Raver-Lampman, Robert Sheehan, Aidan Gallagher and Justin Min are expected to reprise their roles. Steve Black will return as showrunner and executive producer. The series, based on the comic book series of the same name by Gerard Way, is about seven children born during an unexplained global phenomenon who develop powers and are eventually adopted by a billionaire who trains them to save the world. The six surviving siblings reunite after their father dies to solve the mystery surrounding his death. Season one of Umbrella Academy is now streaming on Netflix. Warner Bros. has released the teaser trailer for Todd Phillips’ Joker, starring Joaquin Phoenix as the Dark Clown Prince of Crime. Set to the song “Smile” the clip opens with bleak early-1980s Gotham City. We’re then introduced to Arthur Fleck, where we follow him from failed stand-up comedian to Batman’s archenemy. We see him tiring on various Joker outfits and eventually dying his hair green before the clip ends with him in full costume. The teaser originally debuted at CinemaCon where the film’s first poster was also shown. With the tagline “put on a happy face” the poster shows Phoenix in clown make up sporting a bit of blood under his chin. 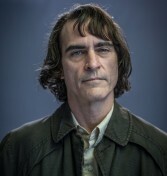 Directed by Todd Phillips, Joker stars Joaquin Phoenix, Robert De Niro, Zazie Beetz, Bill Camp, Frances Conroy, Brett Cullen, Glenn Fleshler, Douglas Hodge, Marc Maron, Josh Pais and Shea Whigham. The film arrives in theaters October 4. Back in March, it was reported Idris Elba would replace Will Smith as Deadshot in the upcoming Suicide Squad 2. Now, according to Variety, Elba is not playing Deadshot. Rather he’s playing a yet-unspecified character. Deadshot won’t appear in the film at all, giving Smith a chance to return for a potential sequel later on. This new report also confirmed that Margot Robbie will return to reprise her role as Harley Quinn, Jai Courtney will return as Captain Boomerang and Viola Davis will play government agent Amanda Waller once again. Production is expected to start this fall. Suicide Squad 2 is expected to open in theaters August 6, 2021. A script for the proposed sequel, titled Beetlejuice Goes Hawaiian, was started after the release of the 1988 original. Since then, it’s been in and out of development. It was revived in 2017 with a new writer, but now it seems like the long awaited sequel may not happen at all, which is good or bad depending on who you ask.